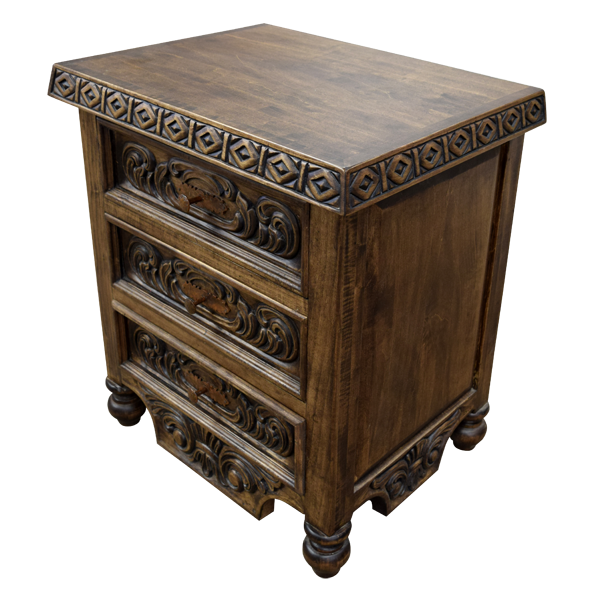 Enhance your bedroom décor with a pair of these magnificent, handcrafted end tables. 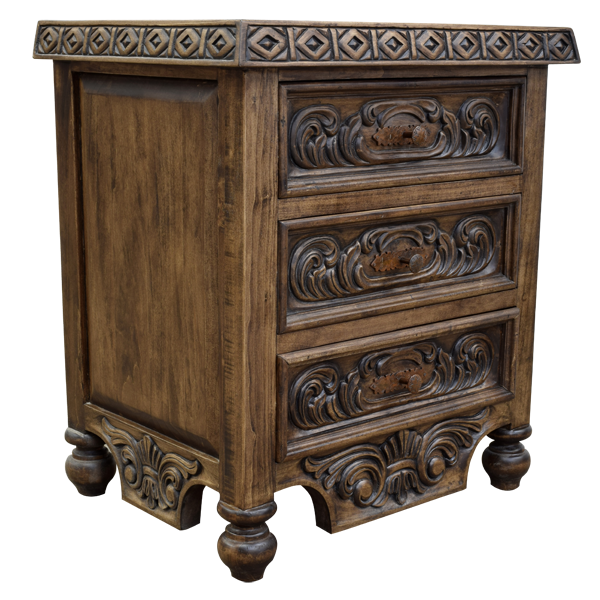 The end table has a beautiful, brown finish, and the top rim of the table top is embellished with exquisite, hand carved, geometrical designs. 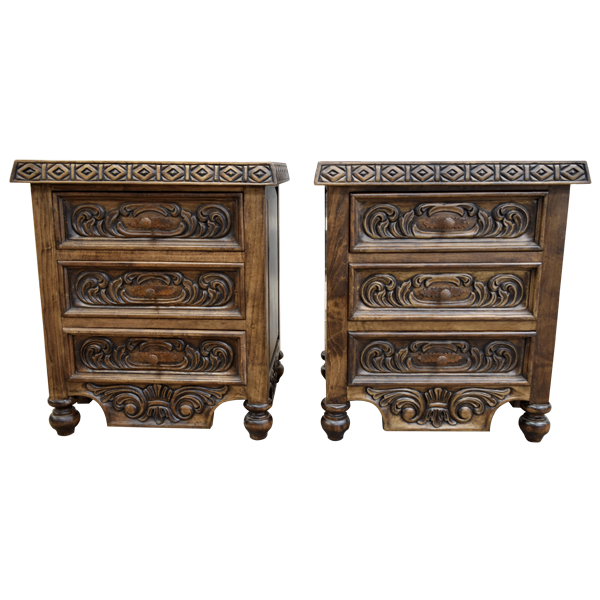 Directly below the table top are three spacious, solid wood drawers, and each drawer is adorned with hand carved, floral designs and scroll details. 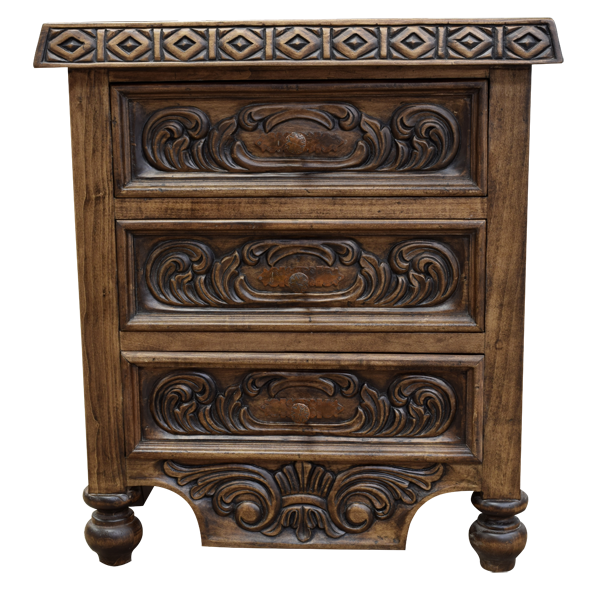 Centered in each drawer is a hand forged, iron handle. The bottom and side aprons have matching, hand carved, floral designs and scroll details. The end table has rectangular cut panels on each side, and it is supported by hand turned, bun style, tapered feet. 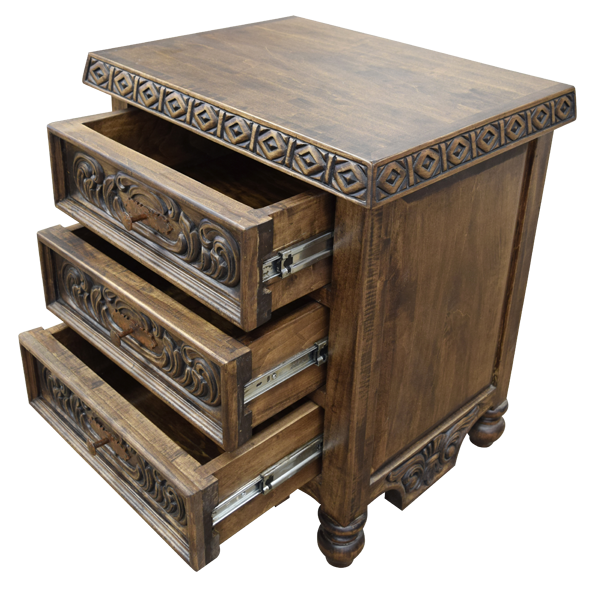 Made with the best, sustainable, solid wood available, and it is 100% customizable.